Becca received her Bachelor of Science in Nursing from Johns Hopkins University in 2000 and completed her Masters of Science in Nursing at the University of Pennsylvania in 2013. Becca is certified as both a Women’s Health Care Nurse Practitioner and as a Certified Nurse Midwife. 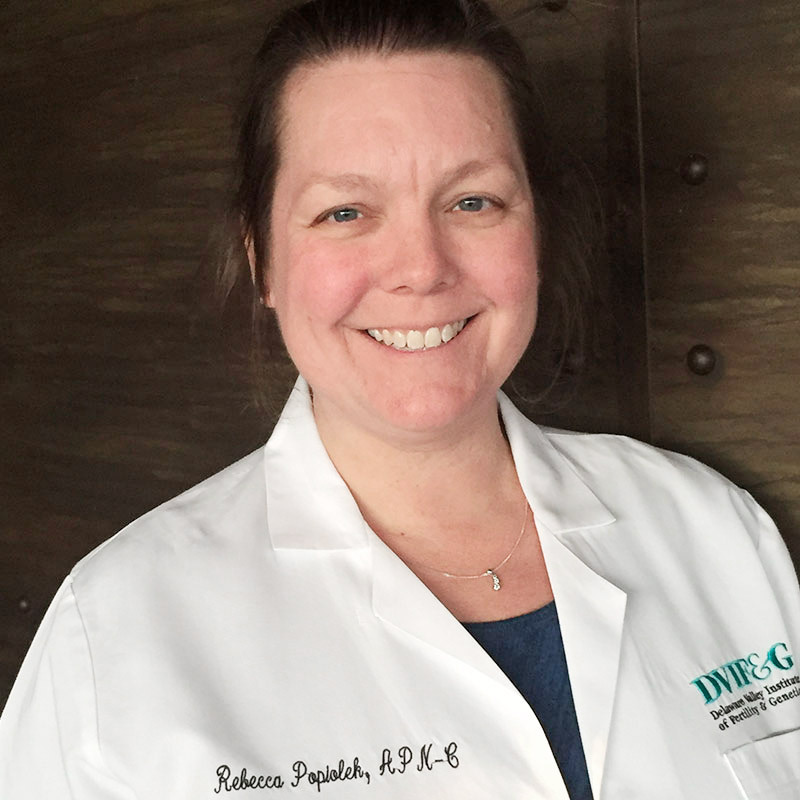 Prior to joining the DVIF&G family in 2014, Becca was a delivering midwife at The Birth Center in Bryn Mawr, PA. For over 12 years, Becca also worked as a registered nurse: in pediatrics at Mt. Sinai Hospital in Baltimore, in the Neonatal Intensive Care Unit at Thomas Jefferson University Hospital, as a float nurse for pediatrics, PICU and NICU at Virtua Hospital in Voorhees, and did pediatric home care with Bayada. Before entering health care, Becca graduated from Bloomsburg University with a BS in Biology and, much to her parents dismay, joined the Peace Corps. She lived and worked in Central Africa for almost 3 years and believes that this was the beginning of her passion to work with women and their families in health care.